This is an issue where real world politics are getting in the way of making progress here in CZUL, it's always been an issue and a very hot topic whenever it's brought up and really doesn't have a place on VATSIM. Maybe an idea is to have the option to speak French on the network when you're controlling and put it in your text ATIS that services are bilingual. Maybe even only accept new English only speaking instructors on a case-by-case basis until you're up and running with a few bilingual guys and the Montreal FIR would have a fighting chance at least of becoming active once again. I see that the subject seems to be hard to resolve. Since there's no timeframe to start training, I'll wait a while and see how things will evolve. We would be more that willing to accept you in Moncton CZQM to kick off your training! We have numerous trainers available. 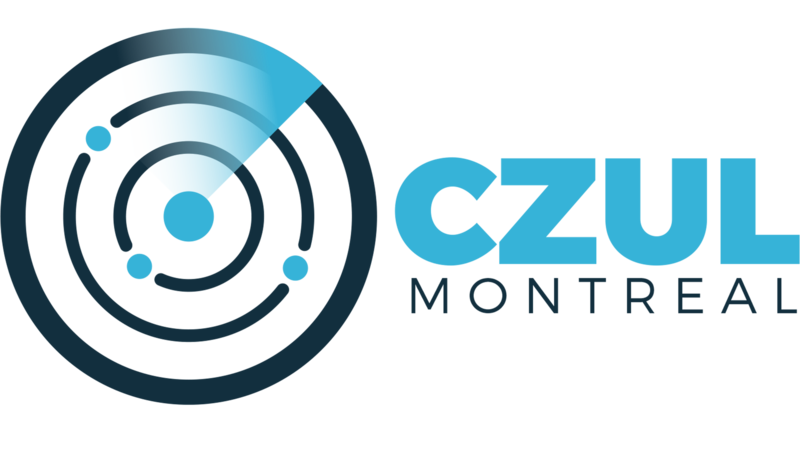 When Montreal CZUL gains more momentum you can always transfer to Montreal CZUL once you become a C1. I can't refuse an invitation like that. I'll be more than happy to start with you. Feel free to file a transfer to Moncton. I will let our chief instructor know to prepare for your arrival. Most of Moncton is online Monday nights for our weekly event called Moncton Monday. It is a great time to come out and meet the guys. Thanks Jeff for offering. Jacques, Moncton has some great experience and real world controllers and will be an amazing FIR to learn from. I would like to make a couple of clarifications. - There are active staffs at CZUL, unfortunately that doesn't mean that there are active instructors. - When I became webmaster the messages were not answered for a long time, and even after I was not notified of new messages and this issue will be fixed. - The French requirement is in no way the issue here, the problem is that there is no instructor, and that comes from other issues that weren't solved in the past that led to the FIR being inactive. There is other FIR inactive that have no French requirements. There are a large number of people who want to enter the FIR as controller. Saying that the problem is the French requirement at this point is the equivalent of not giving water to a plant and blaming the soil when it doesn't grow. Stuff has started to happen only this year to restart the flow of instruction at CZUL. I would not want to over-hype anything therefore I wouldn't give any time-frame because I wouldn't want to disappoint anyone a second time. Now you see Winnipeg has it's instructor problem because they have little to no traffic, with 1 instructor. Their problem is nobody is joining. On the other hand, Montreal is a popular FIR with pilots, with decent scenery, and people want to control there, but they can't because there is no instructors. I know some people of the C1/I1 level tried to offer their services before but they were turned down because they weren't bilingual. You can't have instructors when the ones you need are in very short supply. Sometimes you just can't be fussy about these things. I agree that some drastic measures must be taken at the current time. What I want to put emphases on is that the french requirement is not the origin of the problem. It is difficult to believe that a French requirement has nothing to do with an FIR going inactive due to lack of active instructors (the staff were inactive too, besides you Yanick). Plenty of people who can only speak English are willing to help out, and I hope the latest initiatives help bring Montreal's training back on track. Really now, there's no one thing that caused Montreal to fall apart. There was many different factors at play here and it wouldn't be fair to blame one thing. Im not saying that its not a barrier right now, but the lack of instructor was in no way the cause. Actually those instructor didn't leave VATCAN they just changed FIR for most! There was social issue(s), and I don't want to steer anything so that's why I'm not going to give my 2 cents, but I joined in 2007 and was S3 by 2009, back when we were full house pretty much every nights. Those eyes have seen everything fall since then, and so I know what I am talking about. I can go on for long about the waiting list of bilingual training, visiting and check! Right now, I do agree that any solution that works to make the wheel turn is good obviously, but for the long term CZUL will always be bilingual. I have accepted Jeff McMillan's invitation to join CZQM for my training . That's what I did. This evening (feb., 18) I was in T.H. Lobby on TS for 1/2 hour. Nobody came to me about what was going on etc. Finally, I left TS. Now, I'm thinking about this training sessions. My first choice was Montreal and still is. So, I have decided to wait even if training in Montreal will be only in Sept. Also, I will be leaving in a few weeks for 1 month. So, no rush on my side. I have accepted Jeff McMillan's invitation to join CZQM for my training. That's what I did. This evening (feb., 18) I was in T.H. Lobby on TS for 1/2 hour. Nobody came to me about what was going on etc. Finally, I left TS. A lot of people who control are only using a one monitor setup. They may not 100% attentive to who is around Teamspeak. If you are looking to see what your next step is to start your training then I suggest you get in direct contact to the respective FIR. If you still plan on starting your training in YUL FIR then reach out to VATCAN2 (Travis C.) He will direct you the correct person to provide you on a status update on YUL teaching capabilities. The forums are a great area to gather input/advice from others in the community, but not such a great communication type for your interests. If you happen to be on TS when I am, feel free to poke me and we can have a chat. "I'se the bys that build da boat,but I aint onna be da bys that sails er"